HydroSHEDS is a mapping product that provides hydrographic information for regional and global-scale applications in a consistent format. It offers a suite of geo-referenced data sets (vector and raster) at various scales, including river networks, watershed boundaries, drainage directions, and flow accumulations. HydroSHEDS is based on high-resolution elevation data obtained during a Space Shuttle flight for NASA's Shuttle Radar Topography Mission (SRTM). HydroSHEDS has been developed by the Conservation Science Program of World Wildlife Fund (WWF). 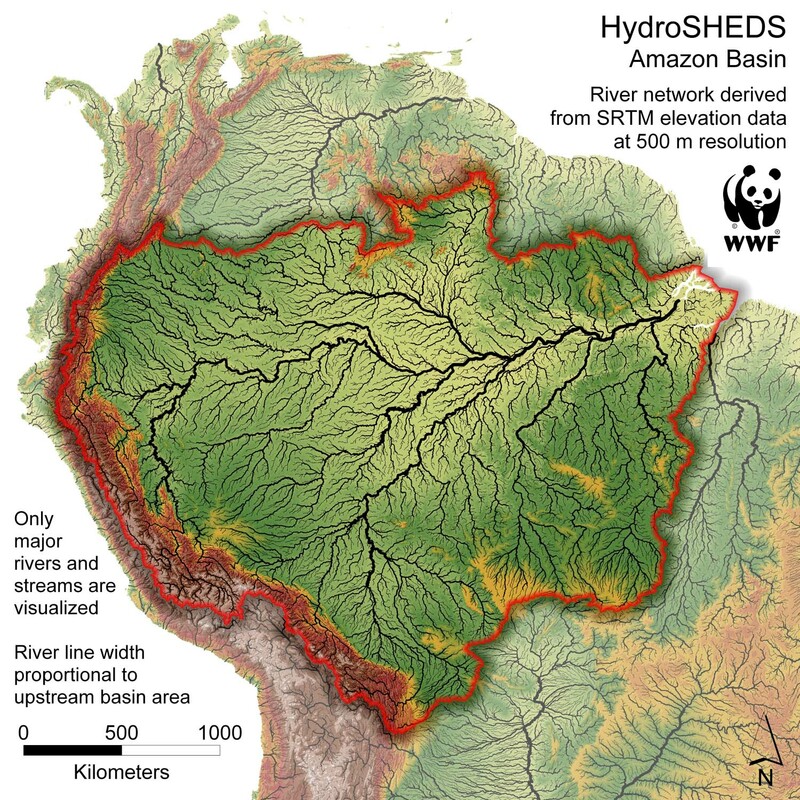 Please visit their website at http://www.worldwildlife.org/hydrosheds for general information. Acrobat® Reader is needed to view and print a PDF.